Iran deal igniting a Mideast nuclear arms race, warns Ya'alon, saying Arab countries are now pursuing atomic weapons. Last year’s controversial Iran nuclear deal has sparked an atomic arms race, claimed Israeli Defense Minister Moshe Ya’alon following a meeting with Jordan’s King Abdullah. Ya’alon revealed that Israel had indications suggesting that certain Arab countries were now actively pursuing nuclear weapons, reports the Telegraph. 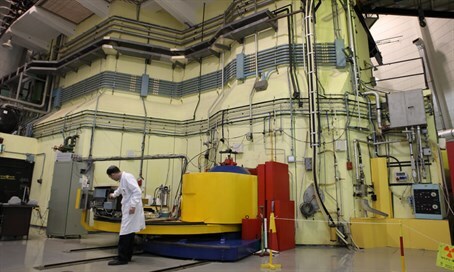 The Defense Minister declined to specify which countries or how Israel had ascertained they were working to create their own atomic arsenals. The Sunni Arab world has long feared the specter of a nuclear capable Iran, and now that the Iran deal effectively permits the Islamic Republic to resume its atomic program with no limits after 15 years, many of Iran’s Arab opponents have been left scrambling for an alternative to contain Iran’s expanding influence across the Middle East. In Yemen, Iranian-backed Houthi rebel victories have forced Saudi Arabia to directly intervene in support of the Sunni government. Meanwhile, the fight against Islamic State (ISIS) has brought Iran into close alignment with Russia, and given Iran greater influence than ever in Lebanon and Syria. With Iran expanding its control far beyond its borders, many in the Arab world fear the implications of an Iran emboldened by a nuclear arsenal.